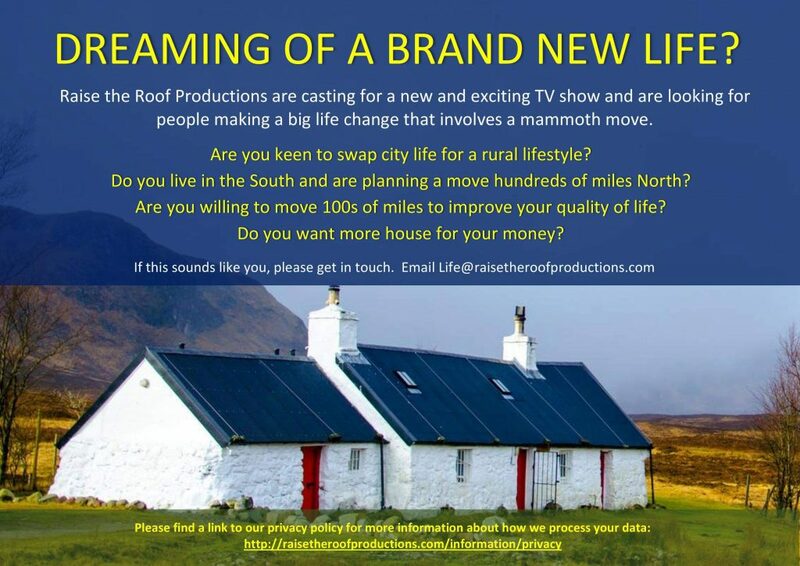 Are you a potential TV star? Recently a message came in which may be of interest to newer members or those still at the stage of contemplating a change to the rural, smallholding lifestyle. Work is currently getting started on a new television show produced by Raise the Roof Productions, a Glasgow-based production company. They were set up in 2010 by Kirstie Allsopp and Phil Spencer (amongst others) so naturally they produce a lot of their shows. They are looking for people who are making a big move, relocating out of a city to a more remote location, for a new documentary series. Although most NPS members probably will have already done this, it doesn’t hurt to spread the word if you know someone else who may be interested. Thanks for Andrew Charles for submitting this report from the Scottish Smallholder Festival which was held last weekend. If any members have other items suitable for inclusion on the website then please get in touch using the Submit News/Event page. This years Festival took place at Forfar Mart, on Sunday 28th October and was well attended, and the main hall was full of craft and information stalls, and there was quite a large livestock display in the auction yard. Being a 4 hour drive to get there we decided to stay overnight, which gave us time to call in on the new V&A building in Dundee. Very impressive and it makes a wonderful backdrop to the RRS Discovery on display in dry dock on the shores of the Tay estuary. But if you are planning a visit pre booking would be advisable – it was packed with no spare tables at the cafe and with queues into all the displays, some of which needed tickets – but just seeing the building both inside and out made the detour worthwhile. The Festival had a full programme of talks, plus demonstrations and workshops (some of which needed booking). We attended a session on weed control without chemicals by the Soil Association (where I come from this is known as slave labour!) Then we had a go at wool spinning (oops not so good) fleece identification (quite easy if its still on the sheep) and willow weaving (not too bad for beginners) The full programme of talks and demos is on display on the Scottish Smallholder Festival website, if you want an idea of what is available. Auction Marts aren’t very draught or sound proof structures, so warm clothes and good hearing are essential to get the most from the sessions. We chatted with a lady at the prize egg table in the produce section and discovered that she had won first prize for her chicken egg – but she had no ides what the judges were looking for and she had just picked a good looking egg up that morning to bring with her – we’ll have a go at that next year! The refreshments were supplied mainly by mobile food stalls, of good quality and the queues weren’t too long. I shall be joining in the SRUC webinars aimed at small scale pig keepers, and I am looking forward to receiving more info on a solar powered water pump to assist with next years dry spells – courtesy of Scottish Water. As part of the barbecue, and to add a bit of fun, we will be holding our second NPS Produce Show on Saturday 4 August 2018. 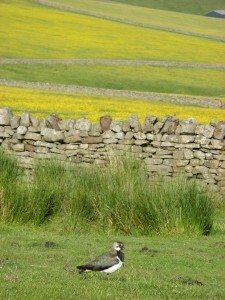 The show and BBQ are only open to members of the North Pennines Smallholders. The winner is the holding with the most points and is awarded this year’s cup. Please let the secretary, Alistair Stevens, know if you want to come to the BBQ and take part in the show. Alistair’s email is oakfieldhexham@hotmail.co.uk . The North Pennines Smallholders will be having their annual summer BBQ abd produce show on Saturday 4 August 2018 at Oakfield House in Hexhamshire, Northumberland. It is a members only event and details have been emailed out. In 2017 we held our first produce show which was surprisingly funny and very successful. 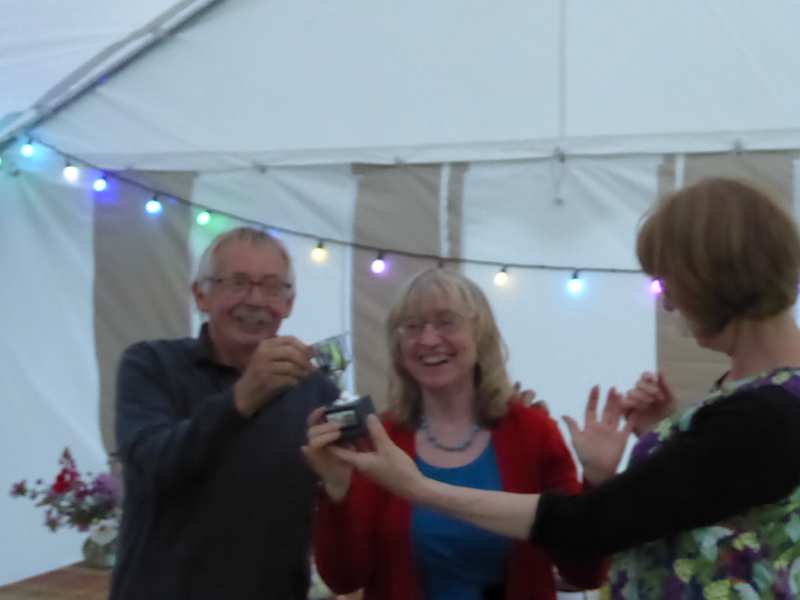 The hosts of the evening, Maureen and Alistair Stevens, gathered the most points and were awarded the ‘specially designed’ cup which has been engraved with their names in readiness for this year’s competition. Here’s a quick reminder about the North Pennines Smallholders AGM for 2017 which is happening on Wed 13 September. This will be held at the Golden Lion, Allendale starting at 7.30 and nibbles will be available during the evening. As many of our members have hens we have asked Kate Jackson to talk about poultry keeping as part of the evenings events. This is an ideal opportunity to find out more about the future plans for the North Pennines Smallholders group, contribute your ideas for future events and to connect with other smallholders, growers and landowners from around the North Pennines (and beyond). Click here to see the calendar entry. Just a final reminder that the annual North Pennines Smallholders barbecue is happening this weekend. More details are available via the calendar entry for this event. This is a weekend daytime event with the intention of demonstrating some practical management skills such as planting/aftercare, coppicing and managing difficult sites as well as learning more about tree diseases and biosecurity. This is a FREE event with all refreshments and lunch provided as well as equipment and guidebooks. Take a look at the calendar entry for this event to see more details and reserve your place as soon as possible. Just a quick reminder about the North Pennines Smallholders – Open Meeting which will be held at The Golden Lion, Allendale early in May. This will be a great opportunity for members to meet the committee, provide feedback on the progress so far and contribute ideas for the future development of the group. It’s also an excellent way for potential members to learn more about the group and the benefits of membership as well. 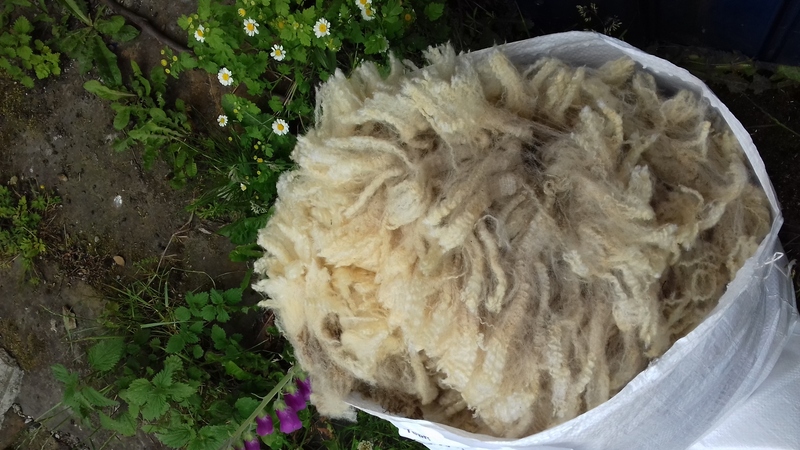 Joining the North Pennines Smallholders is only £10 per holding for a year and you can bring along a completed membership form or even just fill one in on the night! Take a look at the calendar entry for this event to see more details and be sure to reserve your place as soon as possible.